I was talking with my daughter Melissa the other day, and she shared that she was reading The Holiness of God by RC Sproul. I thought it would be fun to read along with her. 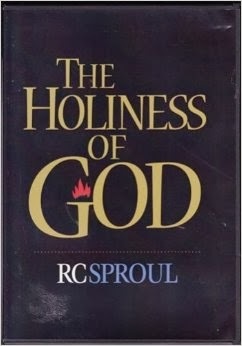 In Chapter one, Sproul says ... "God's Kingdom will never come where His name is not considered holy. His will is not done on earth as it is in Heaven if His name is desecrated here... it is foolish to look for the kingdom anywhere where God is not revered." p 16. As I read those words the thought jumped out to me. "The church plant in Northern Madrid (the presence of His Kingdom here on earth) will not take place until those outside the kingdom in Madrid see the Holiness and awe of God". That is what I need to be praying for. What a blessing it is that we have the Bible that reveals God as he really is. Do you believe it is sufficient to reveal the true Holiness of God that the prophet Isaiah saw in Isaiah 6? I do, and God's Word alone has the power to do so. Will you pray for Madrid? In chapter two of the book, Sproul writes about a repeated pattern in history. "God appears, people quake in terror, God forgives and heals, God sends. From brokenness to mission is the human pattern." p 40. I also liked Sproul's illustration of Humpty-Dumpty. God can and does put broken people back together again and send them on a mission.